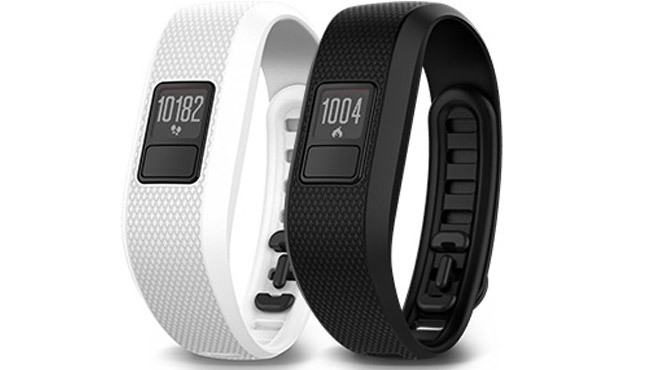 The Garmin Vivofit 3 is the latest update in Garmin's line of activity trackers. Not only does it remind you to stay active with a move bar and audible alerts, but it also also shows steps, calories, distance and time of day on a backlit display. It also features Move IQ - which can automatically tell when you switch activities, whether it be walking, running, biking, using an elliptical, etc. Because it recognizes when your movement changes, there's no need to switch out your watch or to start a new activity. It's also water resistant, so you can wear it in the pool or shower.